When I first walked in, I saw people sipping coffee in the lounge area (which looked super comfortable), doing homework in seating area (They have Free Wifi) and overall enjoying coffee, pasties, and breakfast sandwiches. 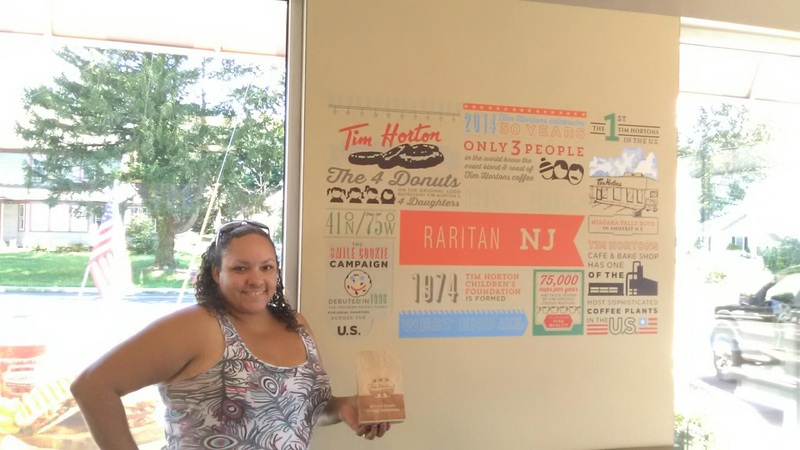 Next time, I'll have to try one of the breakfast sandwiches because they looked delish! I was helped by a kind guy named Drew. He was patient with me as I asked a million "first-timer" questions and I could sense that he was holding back a chuckle at my virgin experience. Luckily, there was no one else in line. 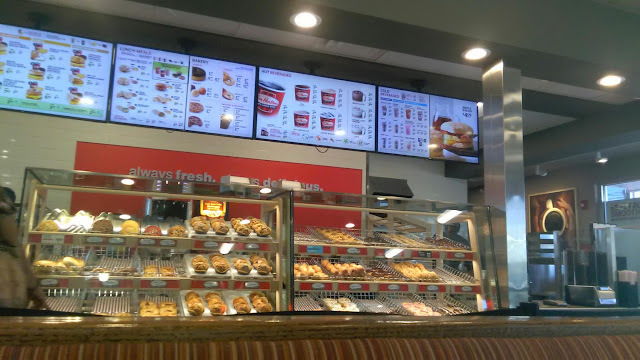 HAVE YOU EVER BEEN TO A TIM HORTONS? I'D LOVE TO HEAR ABOUT YOUR EXPERIENCE!! 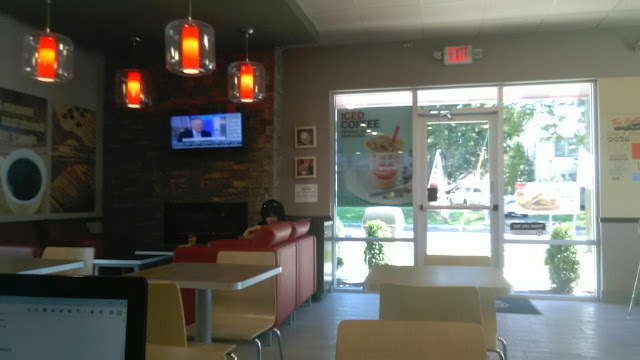 They had nice, clean, restrooms and the restaurant was overall clean.Service was quick and associates were helpful.There was plenty of parking. They have a Drive-Thru for those on the go. They have a great selection of hot items that looked yummy. My apple fritter was the best I've had in a long time. They did not have a lot of outlets to plug in electronic devices. My Boston Creme dried out a little too quick for my taste.I probably should have eaten it there in the restaurant instead of 2 hours later. I would have liked more of a milk selection. They only had one size and one brand. The only "ugly" was that my visit was too short. :-) I wish that I could have stayed longer. I certainly enjoyed my first experience at Tim Hortons! So glad that you finally managed your visit and enjoyed your purchase. I hope you get to reviist soon. Why dont we ever have anything as delicious as Tim Hortons in Switzerland?!? I will have to keep it in mind when we visit the US next time! Ha, ha what an adventure ! I love your sense of humor ! 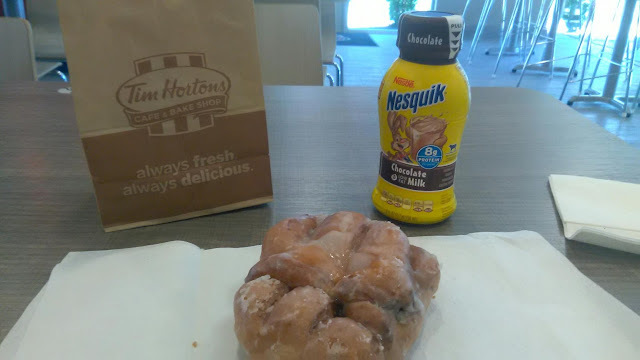 I never heard about Tim Hortons before… but now I get my mouth watering just reading your post :-) ! sounds like a good place to visit. Sounds like we have similar taste, I would've wanted it with milk too! I never knew this can be so amazing, Thanks for sharing the tips. Glad i stop by your blog. I'm from Chicago and we don't have Tim Hortons here so I never tried it, but I'm glad you enjoyed your time there.